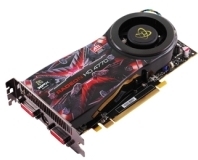 Another day, another custom Radeon HD 4850 is probably what you're thinking right now. 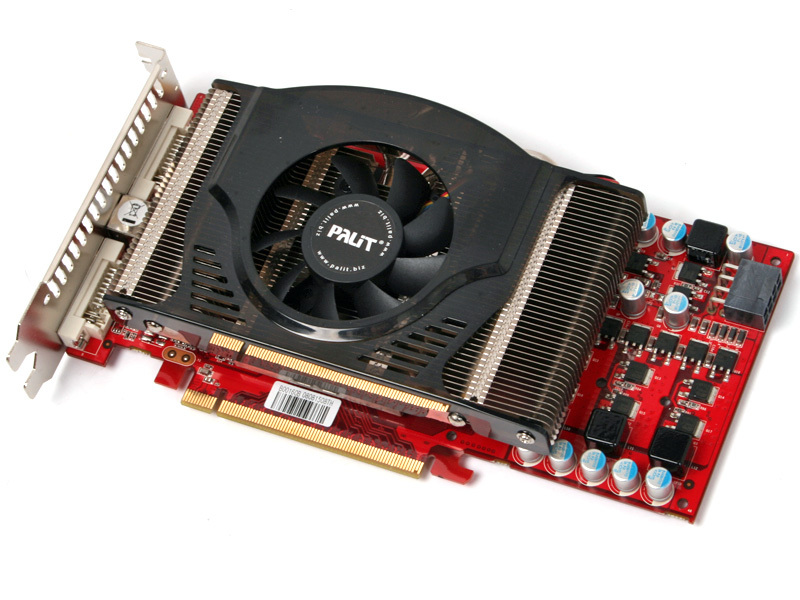 And that's exactly what we were thinking when Palit's latest Radeon HD 4850 turned up on our doorstep; at least, until we opened the box and started looking a little closer. 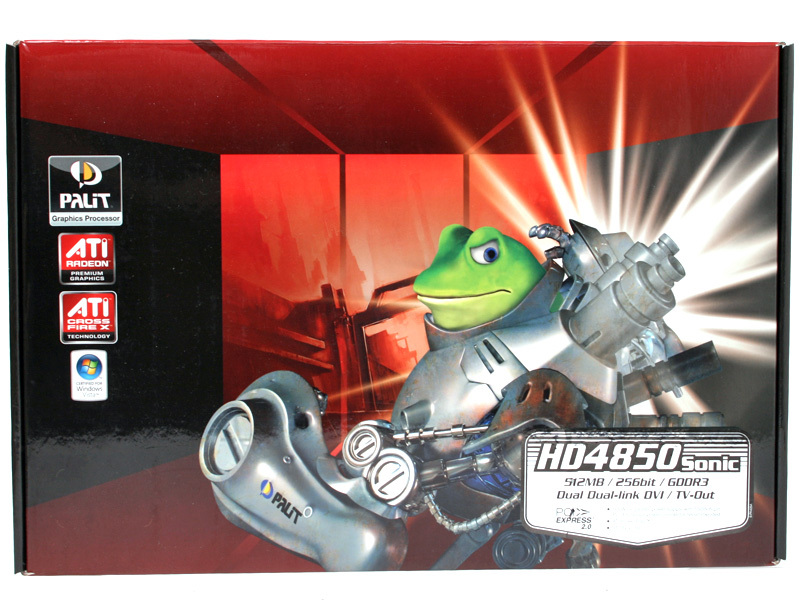 We've seen a few custom-cooled and factory-overclocked Radeon HD 4850s in the past few weeks, including Sapphire's Toxic edition, the PowerColor 4850 PCS+ and of course the excellent HIS 4850 IceQ 4 TurboX. 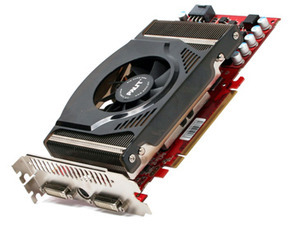 Like these cards, the Palit Radeon HD 4850 Sonic is retrofitted with a custom cooler and sports a fairly decent factory overclock on the core. This has been increased from 625MHz all the way up to 685MHz, matching both the Sapphire and HIS custom 4850s. However, unlike the two cards we've just mentioned, Palit has been pretty conservative on the memory overclock – we've got an increase from 1,986MHz to just 2,000MHz (effective). What makes Palit's card different from what else we've looked at so far though is the fact that the company has used its manufacturing prowess to completely redesign the 4850 Sonic's PCB. Palit has gone so far that its design bears almost no resemblance to the reference PCB. The power delivery circuitry, in particular, has gone through some significant changes that are clearly tailored towards cutting costs and also improving power delivery – we'll be looking at this in more detail over the page. The heatsink design is not a familiar one, but it combines a 70mm variable speed fan with an array of aluminium fins that are connected to a copper base via two nickel plated heatpipes. It's a dual slot design and for the most part the fan remains quiet, spinning slowly even under extended 3D load in games like Crysis. There are a few concerns we have with the cooler though – the biggest being that there doesn't seem to be a massive amount of warm air escaping out through the grill on the card's PCI bracket. This is something that the HIS Radeon HD 4850 IceQ 4 TurboX's cooler does incredibly well, and it's one of the reasons why we like that particular design. With that said, Palit's cooler design did translate well into GPU temperatures – the card idled at just 35°C, compared to around 80°C on the reference card and 49°C on the HIS. Load temperatures were also some of the best we've seen too, with the highest recorded temperature being 61°C – this is a significant improvement over the reference design, which we've seen hit 90°C, but the IceQ 4 cooler faired more favourably when loaded at 63°C. Despite all of these changes, Palit has kept a familiar set of display output capabilities – there are two dual-link DVI connectors, along with an HDTV out connector that separates the two digital connectors. The card supports HDCP across both links at up to 2,560 x 1,600, which means playing Blu-ray movies on a big 30-inch monitor is fair game. 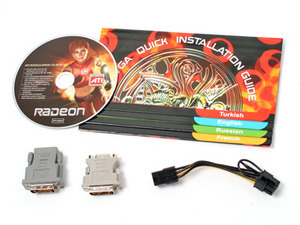 The bundle is lacklustre, which is something of a common theme for most AMD/ATI board partners but you do get most things required to get the card running. There's a DVI-to-HDMI adapter, a DVI-to-VGA dongle and a six-pin to eight-pin PCI-Express power cable for those who don't have an eight-pin connector on their power supply. To round off the disappointing selection of extras, there's a driver CD and an eight-language quick install guide. 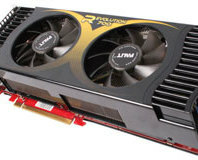 We would have hoped to see some additional connectivity for the HDTV out connector and in particular a component cable, but it's not necessary in the grand scheme of things – this card has more than enough to satisfy those that just care about the card and the most important connectors. Palit's Radeon HD 4850 Sonic comes complete with a two-year warranty that includes cover for parts and labour. The warranty is a fairly standard in just about every respect and it's the same regardless of where you are in the world – it is in line with what most AMD partners offer, though. In the first year, you'll need to talk direct to the retailer if you're having problems and in the second year your direct point of contact will be Palit's support team.